Understanding how rhetoric, and environmental rhetoric in particular, informs and is informed by local and global ecologies contributes to our conversations about sustainability and resilience — the preservation and conservation of the earth and the future of human society. This book explores some of the complex relationships, collaborations, compromises, and contradictions between human endeavor and situated discourses, identities and landscapes, social justice and natural resources, movement and geographies, unpacking and grappling with the complexities of rhetoric of presence. 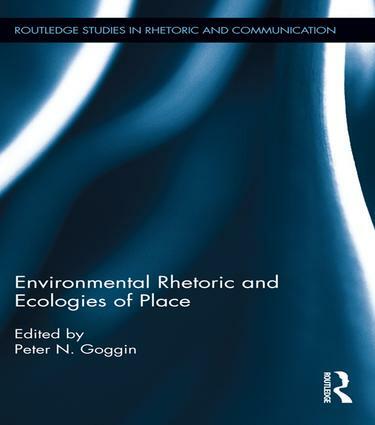 Making a significant contribution to exploring the complex discursive constructions of environmental rhetorics and place-based rhetorics, this collection considers discourses, actions, and adaptations concerning environmental regulations and development, sustainability, exploitation, and conservation of energy resources. Essays visit arguments on cultural values, social justice, environmental advocacy, and identity as political constructions of rhetorical place and space. Rural and urban case studies contribute to discussions of the ethics and identities of environment, and the rhetorics of environmental cartography and glocalization. Contributors represent a range of specialization across a variety of scholarly research in such fields as communication studies, rhetorical theory, social/cultural geography, technical/professional communication, cartography, anthropology, linguistics, comparative literature/ecocriticism, literacy studies, digital rhetoric/media studies, and discourse analysis. Thus, this book goes beyond the assumption that rhetorics are situated, and challenges us to consider not only how and why they are situated, but what we mean when we theorize notions of situated, place-based rhetorics. From Concept to Action: Do Environmental Regulations Promote Sustainability?